What life events have made an impact on your own life? 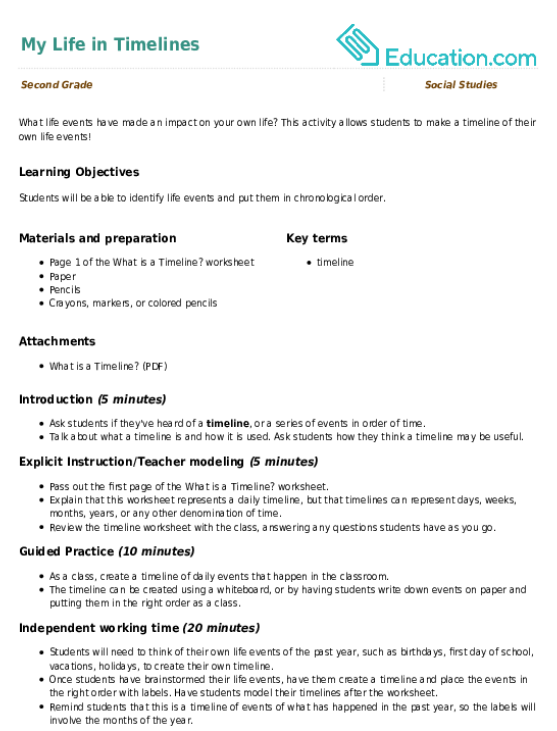 This activity allows students to make a timeline of their own life events! 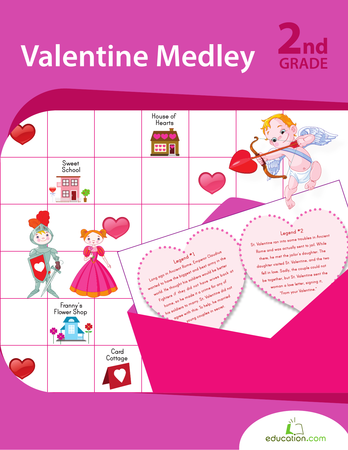 Kids can write, graph and read their way through Valentine's Day with a sweet mix of history, writing and maths! Kids will explore both the mythical and practical side of this day. Identifying and describing their feelings is an important part of the way children develop social skills. 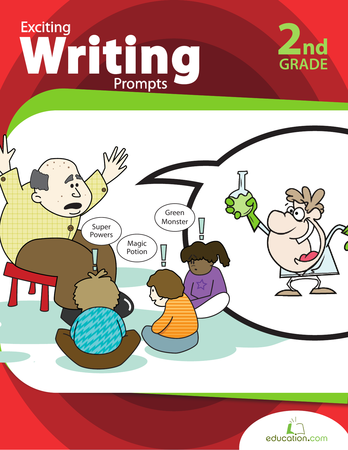 This lesson teaches your students how to identify feelings, and then elaborate on them by speaking and writing in complete sentences. Valentine's Day isn't just about handing out paper cards and heart-shaped candies -- it's about showing your family and friends how much you love them! 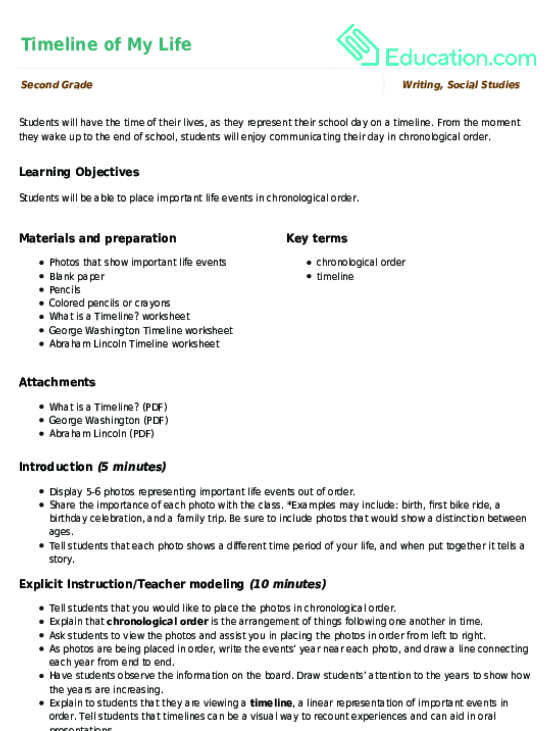 Students will have the time of their lives, as they represent their school day on a timeline. From the moment they wake up to the end of school, students will enjoy communicating their day in chronological order. Thinking about who, what, when, where, and why isn’t just for detectives! Students will practise gleaning important information from texts using these questions and a few other tools. By combining world and personal events, students will understand how their lives fir together with major events. Your kids will love learning all kinds of new facts about themselves and seeing their history on display. 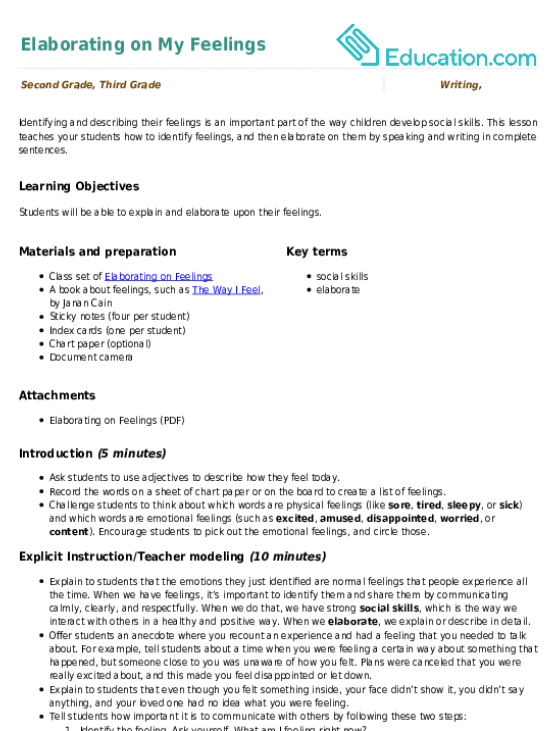 Help your students to process and retain the information they learn from watching videos with this handy worksheet. Students will consider their previous knowledge, what they learn, and what they still want to know. Guide students to get the most out of non-fiction texts by thinking about their previous knowledge, what they learn, and what they still want to know. When they finish, they can trim it to paste into a spiral-bound notebook. 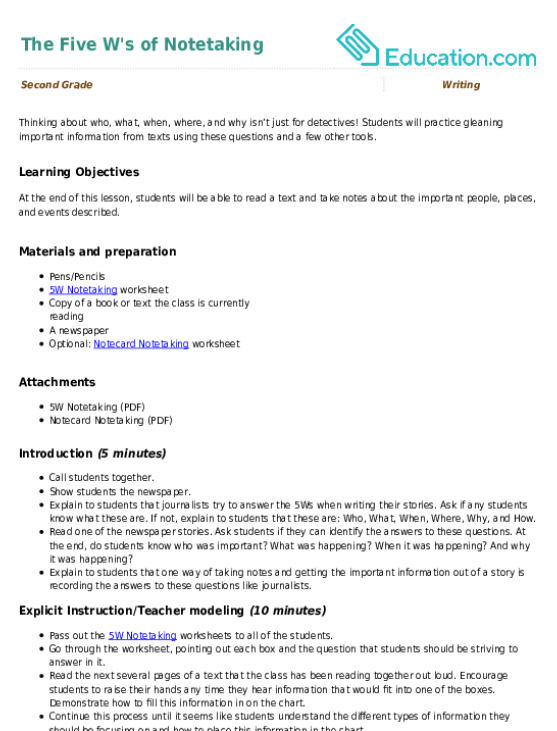 Students will get to track their own learning on a topic using this graphic organizer. First they'll write down thoughts and questions they have about a topic. After reading, they'll record their new thoughts and consider how their responses have changed. Your students will get to practise their writing and oral reading skills while learning more about their classmates with this fun questionnaire. Help your students take organized notes on a book, lesson, or video with this helpful worksheet. Kids will record facts they already know, what they learn, and questions they still have. Then they can paste their notes in their composition notebook. Imagine that you've hidden treasure somewhere and write down each step you would need take to find the hidden treasure. Make Back to School Business Cards! Looking for a unique arts and crafts activity that gives some writing practise? 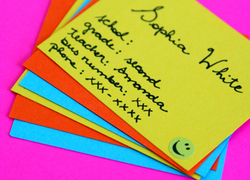 Help your child make her own back-to-school business cards!